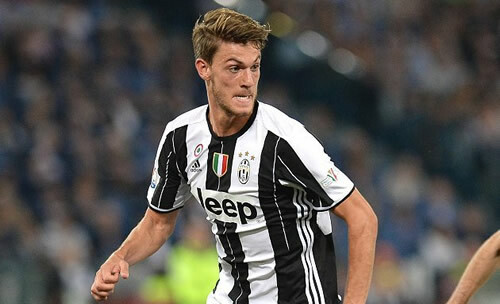 Arsenal are reportedly weighing up a move for out-of-favour Juventus defender, Daniele Rugani in the January transfer window. Report from Ibtimes suggests the Italian could be open to a move away from the Allianz Stadium in the January transfer window after finding games hard to come thus far this season and could be available for a reported fee in the region of £35.4 million. However, the former Empoli defender could be the subject of a two-way transfer battle between Arsenal and Manchester United with the Red Devils also interested in the Italian defender. However, the report suggests the Gunners are favorites to land the Italian international in the winter transfer window. The Italian defender grew up from the ranks at Empoli at the age of 6 and secured a loan move to Serie A giants Juventus in the summer of 2012, but was signed by the Old Lady on a permanent deal the following season in a co-ownership deal reported to be in the region of €500,000. He was loaned backed to his boyhood club Empoli for the next two seasons, but returned to Juventus in the summer of 2015 after series of impressive displays for Empoli. The 23-year-old is known for his anticipation, intelligence, tactical awareness, marking ability and physicality. He has featured in 13 games for the Old Lady across all competitions scoring one goal and providing the same number of assist. With Per Mertesacker set to retire at the end of the season he could be a long-term replacement for the German due to his age and qualities.